Ntel network, the fastest network in Africa, is now in Nigeria for real. 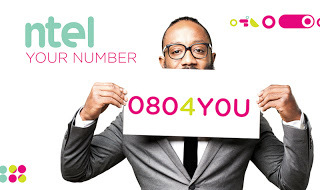 Rush now and get the the Ntel sim card for your cheapest call tariff and cheapest data plans as well as free browsing. Already, some must have gotten their own sim but still hoping for the internet APN settings, just like the way it were on other networks like on Glo, MTN, Etisalat, and Airtel APN configurations. ==>Your device has to be such that comes with Flexible Division Duplex (FDD) with an embedded LTE 3 (1800MHz), also with spectrum bands of (900MHz). To know or get these details whether your device has it or not, just get it from the product packaging or from documentation which comes with the device when you bought it Or you can check online using Google search for that. ==>2. Switch on your phone's 4G service, to do that, goto phone settings > Mobile Networks >> Choose 4G as your only preferred network mode. ==>3. 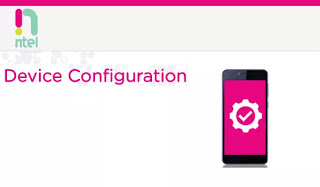 Next, is to configure your (APN) settings by going to your phone settings >> More >> Mobile Networks >> Access Point Names >> click on Menu, then you will see "New APN" click it and then enter the below configurations as stated below. Note: This settings for some device, will depend on the brand of device or phone you are using and because of that, the settings may vary when you get to APN. But, you can use your initiative and configure this for any device without omitting anything. Even as that, don't worry, because am gonna show you two options for the configuration. That's it, now SAVE the settings as the default network settings for all browsers and leave every other Fields blank. After that, switch ON your device's Data and connect to the net. Browse anything, once it couldn't browse, then go for option two settings below. SAVE and start browsing with Ntel 4G Network. Should incase none worked for you, just use the comment box below and we will guide you again on how to go about it. Don't forget to share to friends using the share buttons below. Thanks as you do so.